* 29. 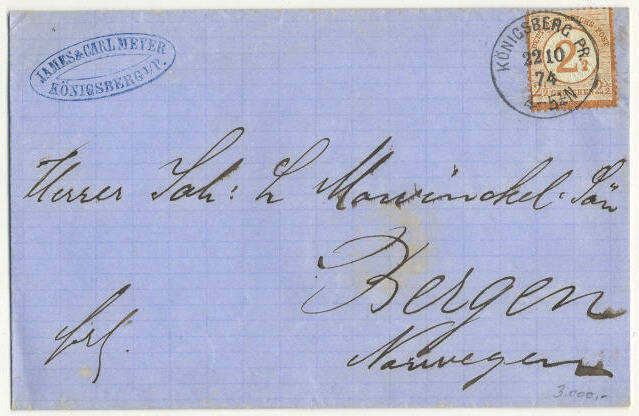 2 1/2 gr Arms embossed cancelled "Königsberg Pr. 22.10.74" on cover sent to Bergen, Norway.